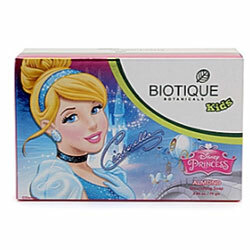 Biotique Kids - Worldwide Shipping. Organically Pure & Preservative Free. Dermatologist Tested for Safety. Non Acnegenic. No Animal Testing. Almonds are the earliest and most nutritious of the entire world's nut crops, rich in Vitamin E and other antioxidants. This clear soap is blended with nourishing almond, margosa adn coconut oils, mixed with turmeric and wild turmeric, to gently wash away body impurities, without disturbing the skin's natural pH balance. Recommended for sensitive body types.